Conoco service station. Photo by Russell Lee. July 1940. 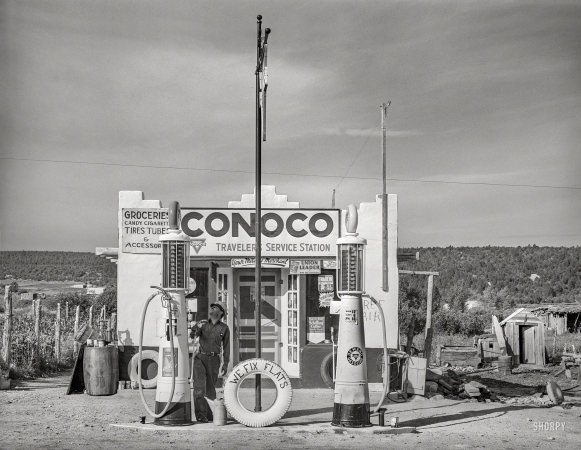 "Filling station is only building of modern design in the Spanish-American village of Penasco, New Mexico."